Hidrostal Axial-Flow type pumps are designed for low head applications up to 30 ft TDH and flows from 500 GPM to 20,000 GPM. 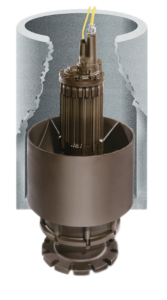 The axial flow pump range is based around Hidrostal’s standard range of submersible motors. 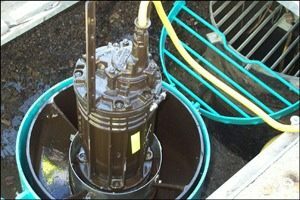 The difference is that the volute on the low-pressure versions is replaced with a casing having an axial discharge, enabling the pump to be installed in a tube or concrete. 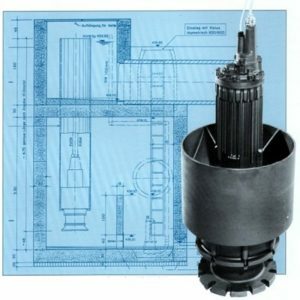 Commonly used in lower head applications where a traditional wastewater pump does not provide a good fit. Our Hidrostal Axial-Flow pumps provide the same benefits of improved solids handling characteristics while still providing high efficiency and long life cycle operation.